Conveniently located on Main North Road and recently upgraded with a focus on nature play. Our Prospect centre is bright, airy and is a home away from home. Where We Grow Prospect, where we all grow together. At this stage of a child’s development, we are looking to introduce your child to the world. At such a young age, so much of life’s experiences are a first so it is important that compassion and gentleness are the cornerstones of developmental guidance in our Nursery Room. Our Toddler Room’s environment is created to reflect the children it hosts. While this age group is still exploring their world daily, they are also beginning to make an impact on that world. 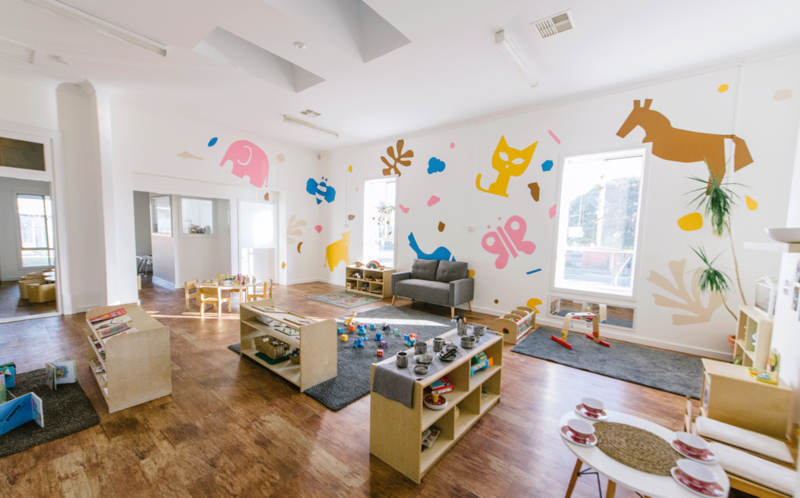 Our Toddler Room is a room that offers elementary actuation opportunities, expressive opportunities and socialising opportunities. 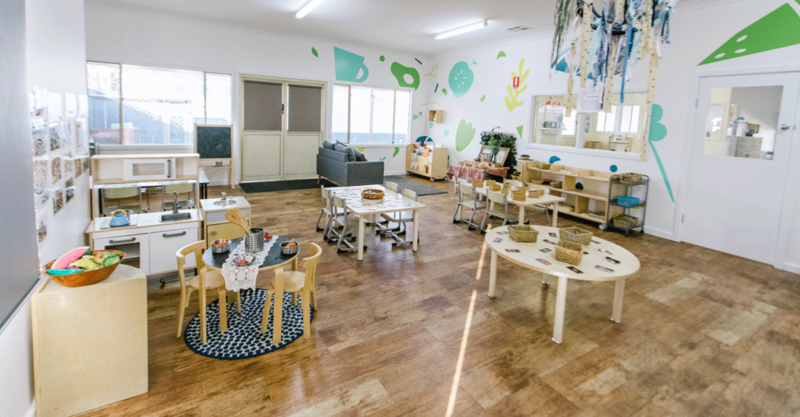 Our Pre-Kindy Room is a world where children can explore all areas of learning instead of just the basics of learning. At this age children are beginning to develop an awareness of self, social attachments and an increased curiosity about the wider environment. This is the beginning of building a sense of responsibility and interdependence. In Kindergarten we encourage children to refine their views of themselves and instil in them a sense of wonder and natural curiosity about their world. Our educators strive to show the children a world of investigation without barriers. We want our children to ask questions, to disagree, to discuss and be open to multiple perspectives. We see our Kindy Room as a learning community. Our educators are a large part of this community however they remain only a part of it. 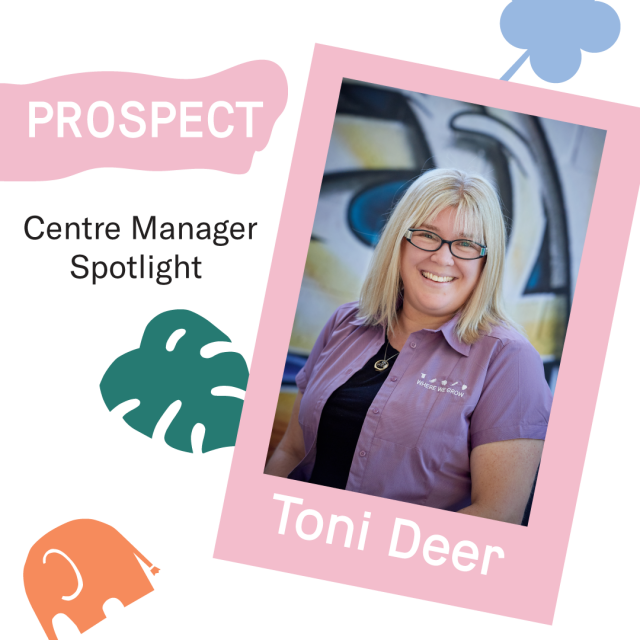 With Term 2 just around the corner, we have interviewed our Prospect Centre Manager Toni to find out what their learning focus is, what makes Prospect special and some exciting events coming up.